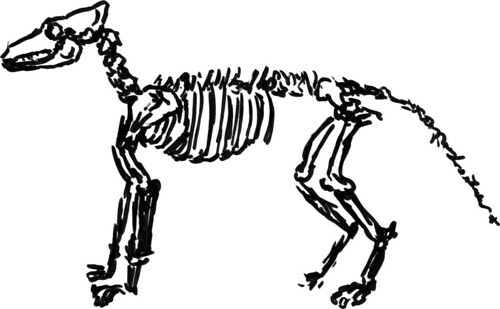 I was reading about how to draw dogs and how it is oh so important to know how the skeleton works, and blah, blah. You know what? I just wanted to draw something. 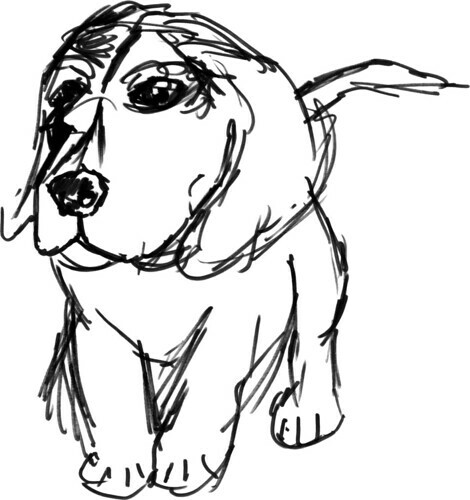 And there is the second rough sketch I did of a puppy I found on Flickr. You can see I first place the eye too low in the head and needed to redraw it higher up. I’m sure it is anatomically incorrect, but it was a lot of fun.